The Office of Student Involvement coordinates the scheduling of rooms for on campus events. Facility usage policies are at the very bottom of this page. Please see below for important instructions and helpful tips. Please note that if a room you are looking for on a particular date is not listed on the calendar associated with an event, it does not automatically mean the room is not being utilized at that time. Please check with the appropriate Facility Coordinator first before submitting a Facility Form. The Step-by-Step guide and Virtual EMS system can be accessed by logging into myLyco and following the instructions provided. Please see the Facility Usage Policy: Campus Community page for more information. 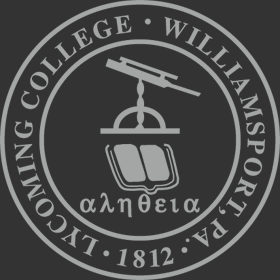 For any function with food please see Lycoming College Policy for Food-Related Events. Requests should be submitted a minimum of seven (7) business days prior to an event, but requests should be submitted as early as possible to ensure the availability of facilities. Submitting a reservation form does not guarantee the room. Only after receiving a reservation number by email is your room reservation confirmed. Facilities are scheduled on a first come, first serve basis. Reserving one area does not give access to any adjoining areas without permission. It is the requestor's responsibility to confirm any event or meeting needs with B&G, Security, Media Technology, or Dining Services. These also must be requested a minimum of seven (7) business days in advance of your function. Requestor is also responsible for keeping the facility clean and returning it to its original requirements. NO TAPE may be used on any painted surfaces. Requestor will be held responsible for any damages to the facilities. Please see the College's Smoking and Tobacco policy for information about smoking.